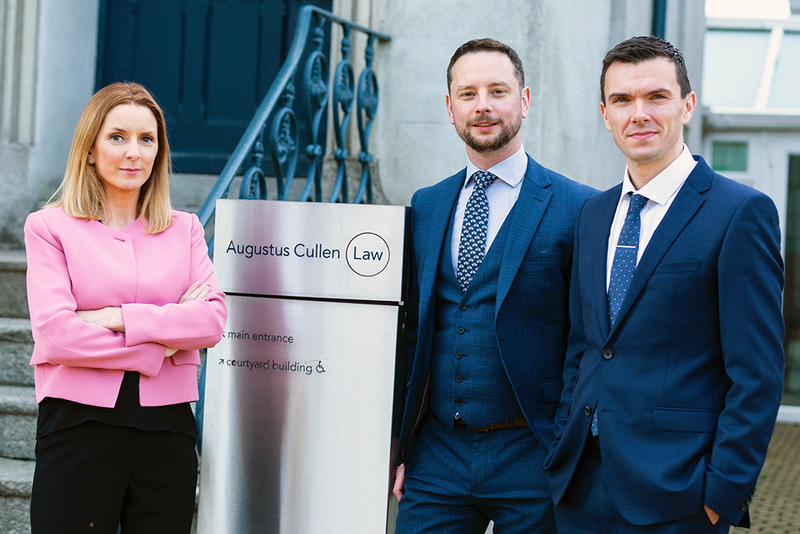 Augustus Cullen Law Solicitors (ACL) has announced the appointment of Ray Fitzpatrick and Damien Conroy as partners. Mr Fitzpatrick has been made partner in the property and commercial law team, while Mr Conroy has been made partner in the firm’s general litigation team. Mr Fitzpatrick has over 10 years’ experience working in corporate, company and banking law, advising lending institutions, shareholders and directors. He also has specialist knowledge of the renewable energy sector, advising on project finance, leasing of property, banking and security. Mr Conroy, who has worked at ACL since 2012, has extensive dispute resolution experience and advises clients on personal injury, medical negligence, and defamation, among others. He has expertise in the growing area of professional negligence, handling a range of claims against professionals such as solicitors, accountant, brokers, architects and surveyors. Managing partner Joice Carthy said: “The appointment of Ray and Damien as partners comes at a time of sustained growth for the firm. Over the past 12 months, we have been involved in a number of high-profile successful cases, which is a testament to the strength and dedication of the ACL team. ACL currently employs almost 50 people in Dublin and Wicklow.